If you’re like most people in America today, you didn’t know it, but you’re to blame for the police state that we have now. How? Partially for who we have voted for. Partially for what we have tolerated and put up with. But, also, in many cases because we willingly helped the government to spy on us. How? By what you’ve chosen to purchase. Those two trends merged this week, when drone manufacturer DJI partnered June 5 with Axon, the company that makes Taser weapons and police body cameras, to sell drones to local police departments around the United States. Now, not only do local police have access to drones, but footage from those flying cameras will one day be analyzed by AI systems. So, other than privacy issues (which are enough of a concern), why would law enforcement using drones and artificial intelligence (AI) software be a concern? Because they are trying to predict illegal actions before they happen which opens the whole situation up to all kinds of “Minority Report” type of abuse where people are accused of things that they haven’t done and punished for actions that they haven’t taken. In this case, all of this would be because of spying and AI software trying to figure out who is bad and who is not. 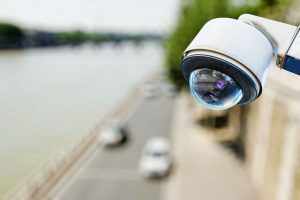 But now, AI-powered surveillance systems are becoming as easy for a police department to order as a car, handcuffs, or anything else they feel they need to effectively do their jobs. That’s right, you could be sprayed with pepper spray or tear gas because an AI using a drone mistakes you for someone doing evil things even if you’re innocent. So, we’re not only dealing with a surveillance state issue; we’re dealing with a “crowd control” issue. And you and I and anyone who disagrees with the government is the crowd to be controlled. It should be the other way around. We should be spying on them! Yet they do EVERYTHING to prevent that when they are suppose to be our REPRESENTATIVES. If you can be blamed for being HAD, we’re guilty. And when an innocent person is accosted, what happens? A drone is sent to bed without dinner? Some law enforcement bureaucrat type is punished by reduced status, loosing one of their trash baskets? Yes, John Q. Public is to blame, though not entirely, for others, the designers of systems should share the blame, though they likely do not.